Every year the Lampeter-Strasburg cheerleaders spend four days refreshing skills, learning new techniques, and gathering innovative material for the upcoming seasons. For the past three years, Universal Cheerleading Association (UCA), staff have come from the local area to instruct the girls at “home camp.” But this year was different. 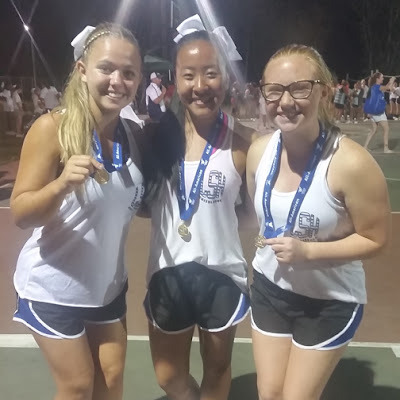 This year the squads--Varsity, Junior Varsity, and Junior High--traveled to the largest cheerleading camp on the East coast, Pine Forest Family Camp, for four days. Fourteen hour long days to be exact. But what could keep a cheerleader busy for fourteen hours a day? 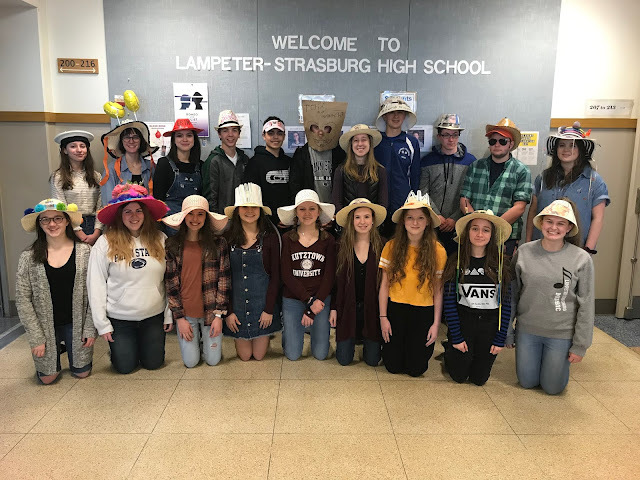 The L-S squad after their final performance. Between Game Day Class, Dance Class, Safety Awareness Class, Stunt Class, Pep Rally Class, Sidelines Class, Private Coaching with our Ravens’ Cheerleader Eugene, an occasional meal, Leadership Training, Evaluations, Pyramid Class, and some fun special events the days were packed full. But don’t worry, they stayed hydrated. UCA’s main sponsor is Gatorade. All-American finalists Hannah Myers, Mikayla Benning, and Alli Lindsley. In addition to classes, UCA hosts All-American Tryouts. Seniors Mikayla Benning and Hannah Myers as well as freshman Alli Lindsley were selected as some of the best cheerleaders in the nation. They have the opportunity to head to London for the New Year’s Day Parade. 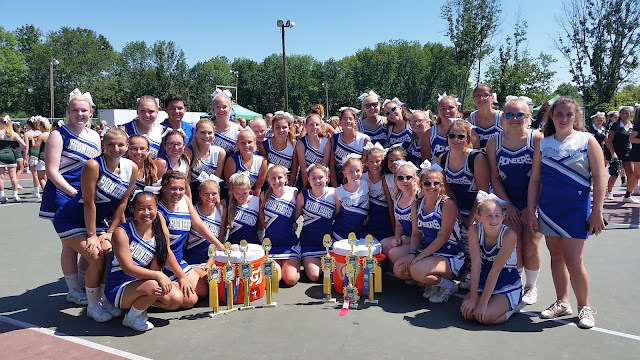 On the final day, the Varsity and JV/JH teams competed in a Game Day Championship consisting of a Cheer, Band Dance, and Sideline as well as performing an Extreme Routine. Here are the results. The L-S Varsity Squad currently has two competitions ahead of them on Saturday, October 29 and Saturday, November 12. The squad could not be more excited for these events later this season. Here's a brief clip of the squad performing. Come see the cheerleaders in person this Friday night at the home football game against the Eastern York Knights at 7 pm.